Demand for ÅF’s project management services continues to increase in the Uppsala region. 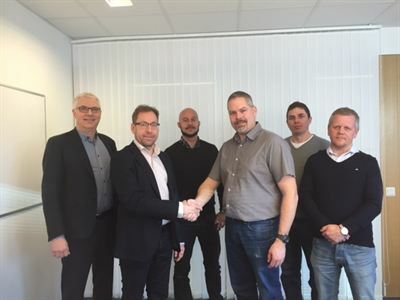 Consequently, ÅF is expanding its local project management service offer for the construction and building sector. There is plenty of construction going on in and around the city of Uppsala: homes, offices, hospitals, infrastructure and several new sports venues are being built. In response to this development, ÅF is expanding its local presence with construction project management services, thereby strengthening its overall service offer in the local market. “As a project and section manager you are dependent on the best specialists in the market, and I am convinced that many of them are here at ÅF in Uppsala, including our construction economists, who undoubtedly are industry leaders in cost estimating,” says Björn Alsmark, section manager. The establishment of project management services in Uppsala is part of a general increase of ÅF investment. Over the past year, in order to match its services to the expansion in the region, ÅF has launched operations in a number of areas, including environmental services, urban and regional planning, risk analysis, traffic planning, land, water and wastewater planning, lighting design and landscape architecture. Caption: From the left: Johan Storm Wikberg, Peter Hjelmze, Fredrik Bernhardt, Björn Alsmark, Marcus Falk, Krister Persson. For more information, contact Peter Hjelmze.